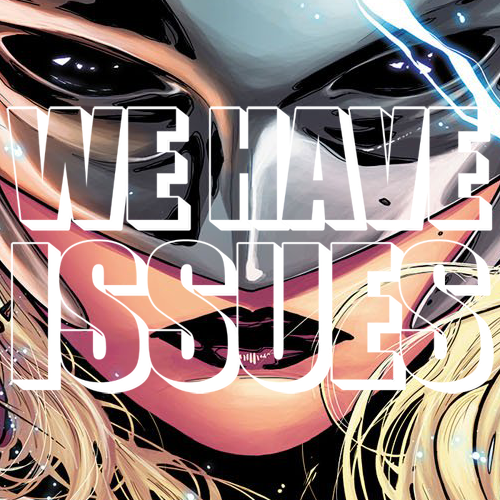 This is the second episode of We Have Issues – positive about comics, neurotic about everything else. Jon talks about how comics showed him how to be subversive, and Jessie talks about how she found her favourite character, and then we review comics. NOT QUITE A SPOILER WARNING: toward the end of our review of Thor #1, there is some wild speculation that you might not want to hear til you read the comic. Please consider rating and reviewing us over at iTunes – even if you don’t listen to the show on there! – because it’s pretty great for a podcast to get ratings and reviews on iTunes. Tagged 2000ad, Bucky Barnes, comics, Gotham Academy, Men Of Wrath, Sin City, The 'Nam, Thor, Transformers, Void, Winter Soldier. « WHI – Ellen Starbuck (and Andy) Have Issues!